India has the dubious reputation of being the biggest global importer of conventional weapons (SIPRI: 2017). Improving our self reliance index from 30% to 70% was one of the avowed road map of the Kalam Committee (1993). The country has not moved an inch in this indigenization improvement objective, despite a large number of Defence PSUs, Ordnance factories and private sector dotting the field defence production. The mandate to “Make in India” could not have come at a better time, as the Prime Minister has the charisma to reach out to the global leaders to make India, a preferred place of investment by OEMs and design houses. It is, therefore, disappointing that he has made a switch from technology transfer to HAL to build 108 aircrafts in India, as was envisaged in the MMRCA Contract (2014), to directly import of 36 aircrafts from Dassault Aviation. This has stultified his grand idea of “Make in India”. The MoD also seems to have abdicated its principles of transparency, competitiveness and “highest standards of public probity and public accountability” (Defence Procurement Procedure 2016) to conclude an opaque IGA deal with the Government of France. The Rafale deal has to be viewed from the perspective of 3Cs viz. Cost, Competition and Cronyism. It is well known that a competitive process, with transparent qualification and award criteria, is the motherboard of getting a competitive price. In an oligopolistic market, as in defence systems and platform, competition can be easily snuffed out by having tailor made specification. To be fair to the MMRCA contract, it was the first defence acquisition with the principle of “Life Cycle Costing” where two OEMs viz. 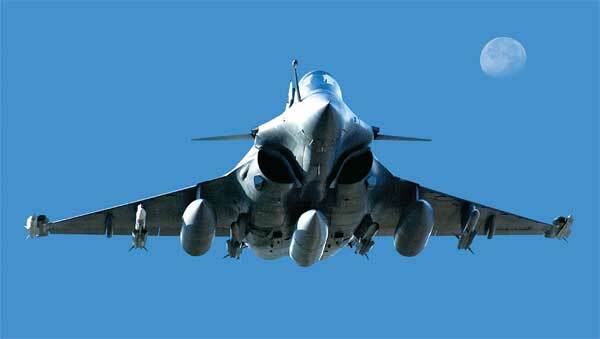 Rafale and Typhoon were shortlisted after elaborate technical trials of six international bidders. But the IAF showed enormous spine to qualify only two bidders. Both Rafale & Typhoon had agreed to transfer technology transfer to the tune of 70% to HAL, for subsystems like the engine and AESA radar and Radar Warning Receiver. Since HAL has been receiving technology only from Russia in the past (MiG-21, MiG-29 & Su-30), this was a golden opportunity for them to gain insight into an alternative high end technology in terms of weapons (Air to Air Missile) Sensors (AESA Radar) and propulsion (Snecma engine) from Rafale. It’s really unfortunate that Rafale found it impossible to work with HAL and take a commitment for production of 108 aircrafts through successful technology transfer. For instance, there was a wide variation in the man hours estimated by DA, i.e. 30 million MHRs for each aircraft as against 90 Million MHRs estimated by HAL. Also DA had serious apprehension about the ability of HAL to absorb key technologies. The DRDO, the design agency has a dubious record in terms of a failed Kaveri engine, very low capability in terms of range of radars (INDRA) and poor record in terms of designing an Air to Air missile (ASTRA). DA had genuine apprehension that with the poor design base of DRDO, and endemic time and cost overrun record of HAL in terms of technology absorption and production, it should not go ahead with the proposed ‘TOT’ arrangements with the HAL. The Defence Minister Mr. Manohar Parrikar in NDA government was quite prescient in observing in 2015 that the ‘deal is as good as dead’; as the obdurate partners were not sure of a satisfactory technological consummation! As regards the cost comparison, each aircraft would have cost Rs.521/- crore, (18 fly by wire) in the 2014 contract as against Rs.686/- crore now, without the add ons to the aircraft. The add ons seem to cost around Rs.900/- crore, which will include the AESA radar, Radar Warning Receiver etc. While the increase in the cost of the basic aircraft seems to have gone up by 30%; what is most disconcerting is that the cost break up of add on items is not being revealed by Ms. N. Sitharaman under the cover of secrecy clause of the IGA contract. This is clearly indefensible, as transparency is a major template in our acquisition procedure. When the NDA government changed the terms of the contract from “Technology transfer” to “Direct Import” to fill up the void of 6.5 squadrons i.e. (30 vs 39.5), it should have given equal opportunity to Typhoon to also quote their best rates. That would have ensured that Rafale would have quoted its most competitive rate, instead of being complacent as a single tenderer. In the IGA route “geo-strategic advantages that are likely to accrue” (Para 104 of DPP: 2016) take precedence over ‘competition, transparency and accountability’. The NDA government needs to explain, why the IGA route was adapted over a competitive route. To put the technological comparison of the two aircrafts in perspective, the MTOW (Maximum Take Off Weight) of Rafale is 24.5 tons as against 23.5 tons of Typhoon. The power of the engines is 50 kN for Snecma as against 60 kN for Eurojet. Rafale flies at a speed of 1.8 mac as against 2 macs by Typhoon. Discerning fighter pilots, who have flown both these aircrafts, do indicate a preference for Typhoon over Rafale due to its agility and speed. The NDA government should have given equal opportunity to both the shortlisted aircrafts instead of hustling through an IGA deal. The other disquieting dimension of the deal is the charge of cronyism. As is well known a new Reliance Company was formed in a tearing hurry to act as an offset partner. They have no experience in manufacturing aircrafts. Yet they were given a licence for High Services Defence Product. The RIL Company had a dubious record in the 2G spectrum case, and is reportedly saddled with Rs.70000/- crore unpaid debt to the banks. In the present IGA, this company has been asked to discharge an offset obligation of Rs.30000/- crore, as it has become the India’s Offset Partner (IOP) to Dassault Aviation. In the earlier contract, the offset obligation was to be met 50% by HAL; and the other 50% by private players like Tatas & L&T. The offset policy was introduced by MoD in 2005, to leverage big ticket acquisitions to augment capacity of R&D in India and to entice OEMs to outsource manufacturing and fabrication orders to the offset partners in India. The OEMs are free to select the IOP, unless they are banned by the MoD. There is an elaborate process in MoD for approving such offset arrangements by a committee headed by Technical Manager (ModD) who will verify the work packages being provided by the IOP and the benefit of credit that could be extended to them. As per the offset provision, at least 30% of such offsets in terms of outsourced orders FDI, TOT services and R&D, of the contract value would makes the OEM eligible for offset contract. Ironically the press release of MoD on 7th February, 2018 has stated that no offset partner has been selected by DA, while RIL has gone on record (26th February, 2017), as also the Annual Report of DA, that “the offset contract is being executed by Rafale”. This is clear double speak and Ms. N. Sitharaman must clear the air, as the IOP would need to be approved by her, after they are found acceptable by the Committee headed by the Technological Manager (Air) MoD. The NDA government came to power because of the miasma of corruption charges (Common Wealth Games, 2G, Coal Block Allocation) that shrouded the Congress government. The audit report of the CAG provided further ballast to them, as did the Supreme Court who cancelled the preferential coal block allocation made by the UPA government. The moot issue was flouting the principle of equal opportunity and preferential treatment. The PM was considered a messiah who will kindle the “animal spirits of business men”, ensure ‘development of all’ and foster a corruption fever regime. The irony of Rafale deal has been abnegation of principle of competition and blatant patronization of a select few business men. The Ministry of Defence introduced the DPP in 2005, and has been revising them periodically. The latest DPP enjoins upon the need for “expeditious procurement with high quality and appropriate cost”. This has to go hand in hand “with highest standard of transparency, probity and public accountability”. It has also included clauses like avoidance of ‘Agents and Agency Commission’, ‘Undue Influence’ and an ‘Integrity Pact’, which binds both buyer and seller with ‘no-corruption’ commitment. The Transparency International has complimented India for including the ‘IP’ clause in its MoD contract conditions. The slew of allegations that bedeviled the defence contracts (Bofors, HDW) are behind us since 1984. It’s unfortunate that in the Rafale deal, fair procedure and processes have been completely glossed aside, and competition short circuited by promoting cronyism. The country has lost a wonderful opportunity to have state of art technology, bolster its credible Make in India campaign. Ruchir Sharma, based on a survey of the rise of dictatorial leaders getting elected has observed that the youth is more keen on outcomes rather than an fair and democratic process. A morally bankrupt opposition has given a platform to the Indian PM to confuse outcomes with opacity. Cost, competition and cronyism make the Rafale deal highly suspect and has opened a can of worms.